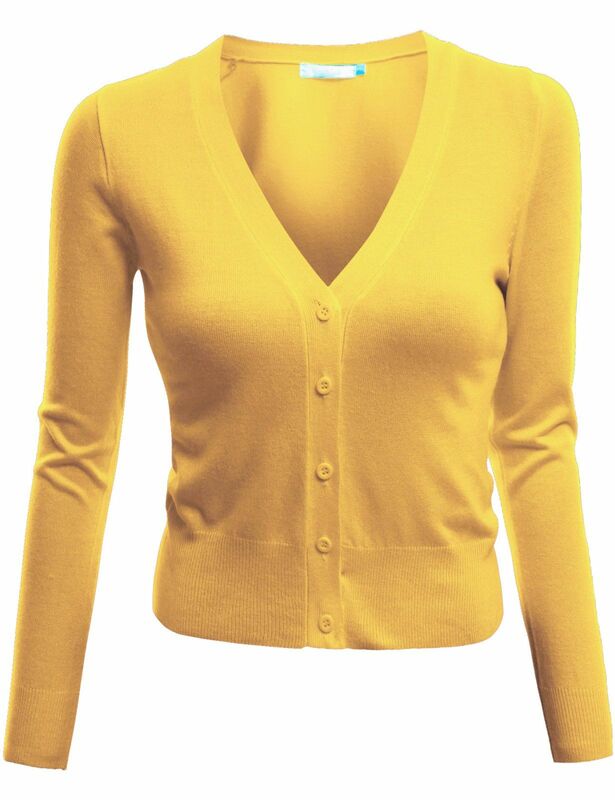 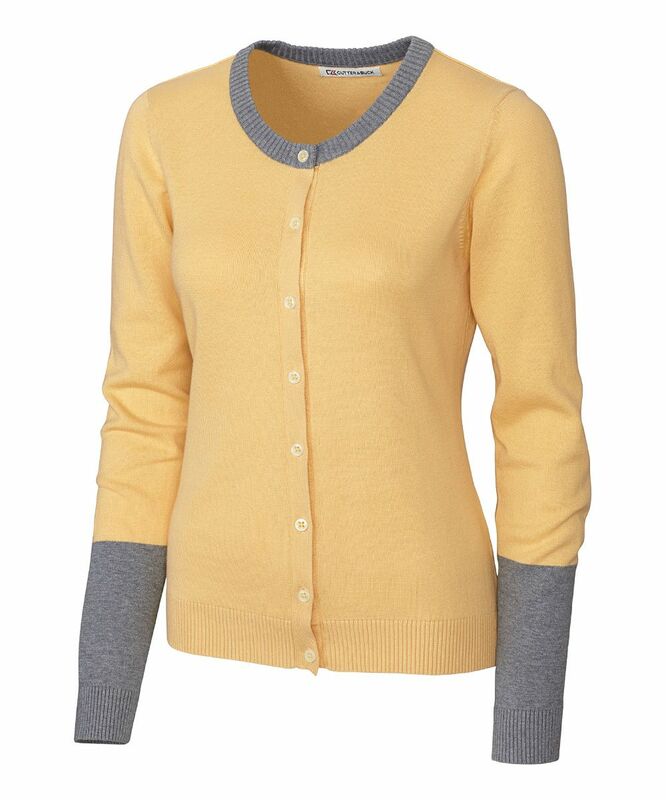 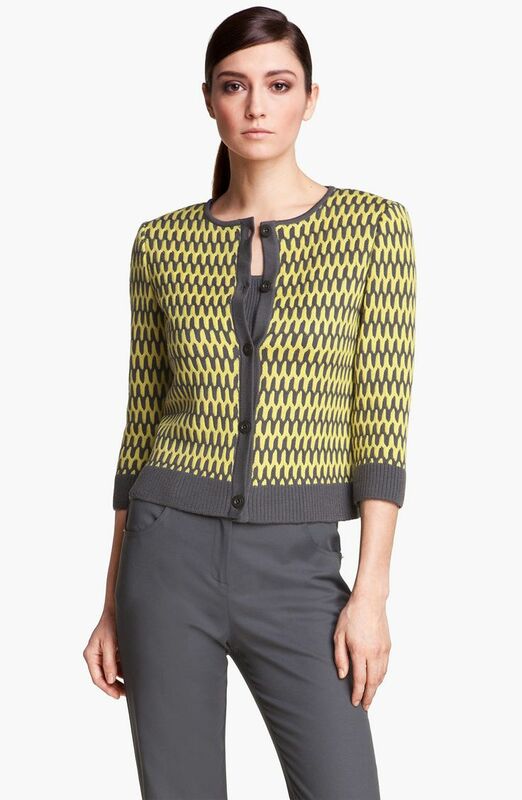 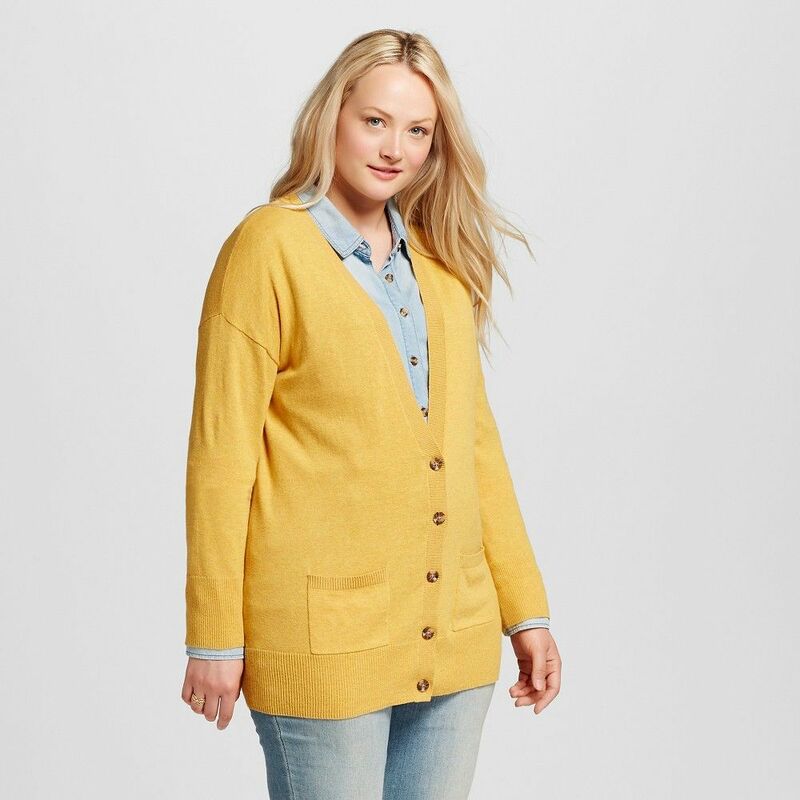 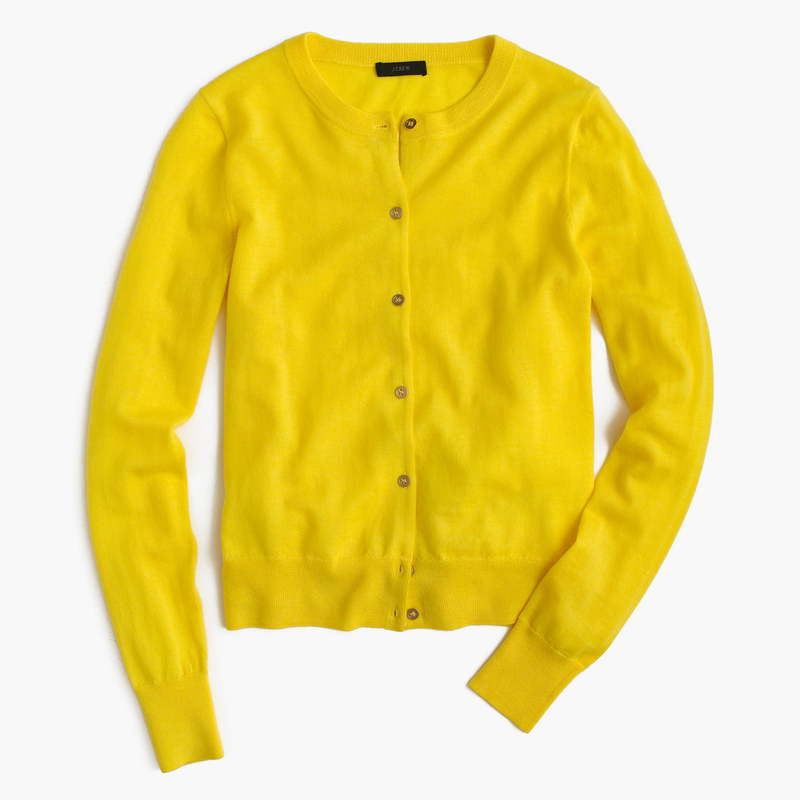 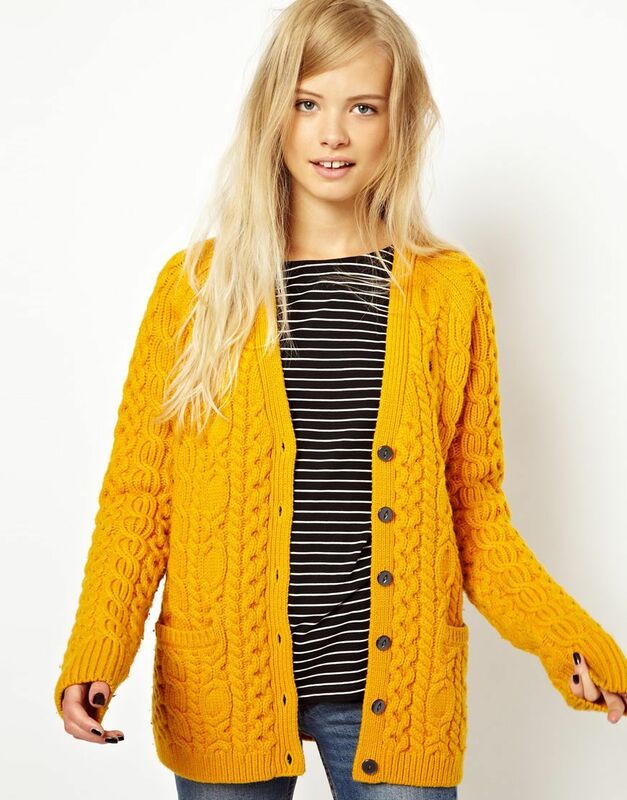 This lightweight fitted long sleeve cardigan is perfect for any season or ocassion. 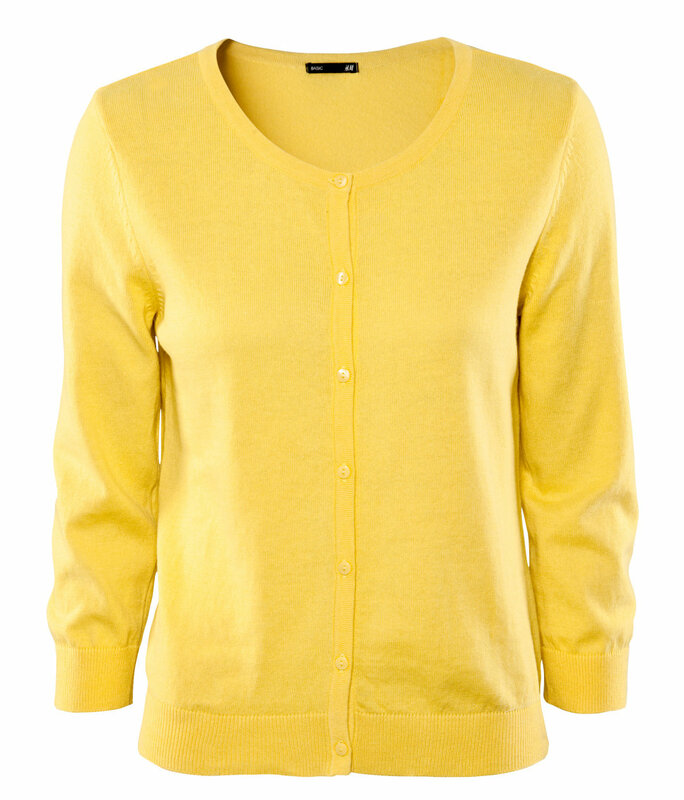 It is perfect to layer over a simple tank top or dresses. 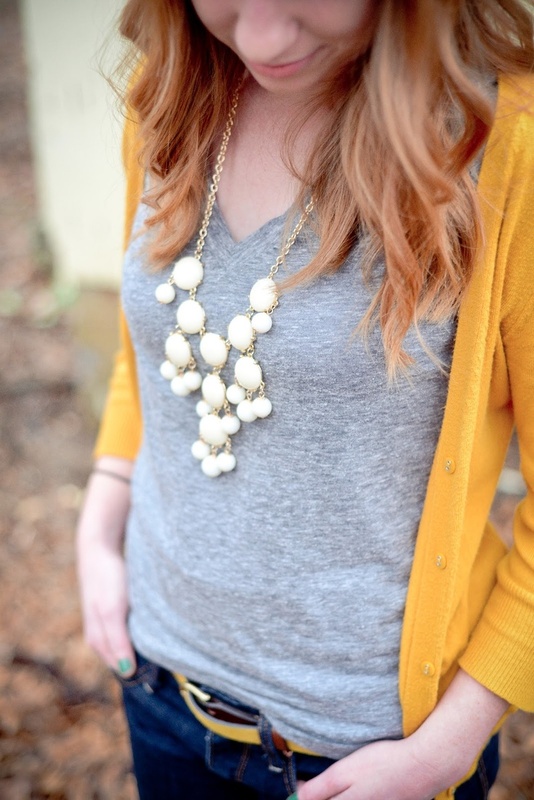 Gray v-neck t-shirt, golden yellow cardigan, and cream bubble necklace- thinkin’ about fall already?